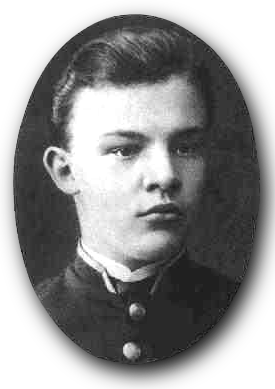 Владимир Ильич Ленин - (Vladimir Ilyich Lenin) born Vladimir Ilyich Ulyanov, 22 April [O.S. 10 April] 1870 – 21 January 1924) was a Russian communist revolutionary, politician and political theorist. He served as the leader of the Russian SFSR from 1917, and then concurrently as Premier of the Soviet Union from 1922, until his death. 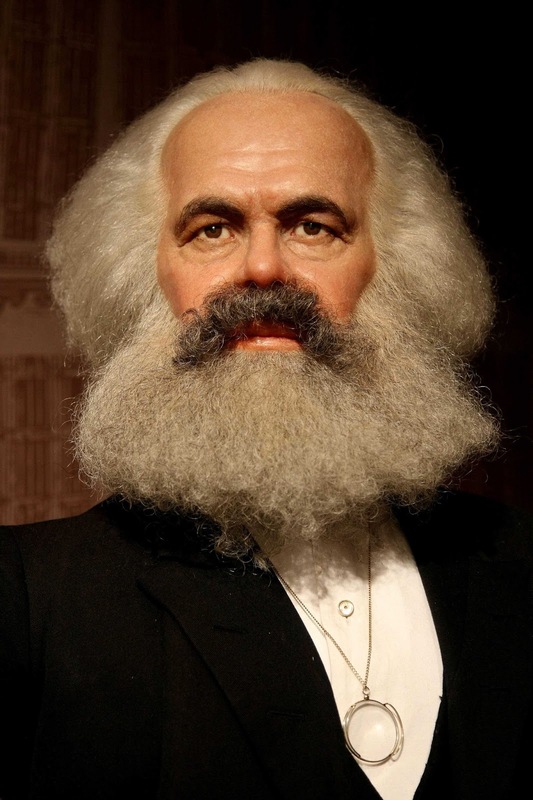 Politically a Marxist, his theoretical contributions to Marxist thought are known as Leninism, which coupled with Marxian economic theory have collectively come to be known as Marxism–Leninism. Born to a wealthy, middle-class family in Simbirsk, Lenin gained an interest in revolutionary leftist politics following the execution of his brother in 1887. Briefly attending the University of Kazan, he was ejected for his involvement in anti-Tsarist protests, devoting the following years to gaining a law degree and to radical politics, becoming a Marxist. In 1893 he moved to St. Petersburg, becoming a senior figure within the League of Struggle for the Emancipation of the Working Class. Arrested for sedition and exiled to Siberia for three years, he married Nadezhda Krupskaya, and fled to Western Europe, living in Germany, England and Switzerland. Following the February Revolution of 1917, in which the Tsar was overthrown and a provisional government took power, he returned home. As the leader of the Bolshevik faction of the Russian Social Democratic Labour Party, he took a senior role in orchestrating the October Revolution in 1917, which led to the overthrow of the Russian Provisional Government and the establishment of the Russian Socialist Federative Soviet Republic, the world's first constitutionally socialist state. Immediately afterwards, Lenin proceeded to implement socialist reforms, including the transfer of estates and crown lands to workers' soviets. Faced with the threat of German invasion, he argued that Russia should immediately sign a peace treaty—which led to Russia's exit from the First World War. In 1921 Lenin proposed the New Economic Policy, a system of state capitalism that started the process of industrialisation and recovery from the Russian Civil War. 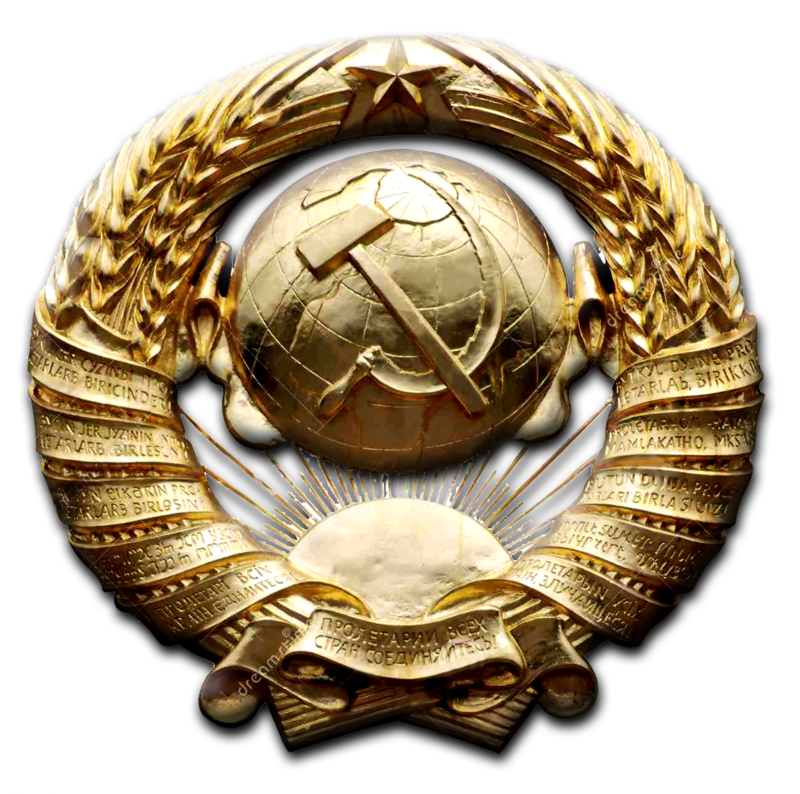 In 1922, the Russian SFSR joined former territories of the Russian Empire in becoming the Soviet Union, with Lenin as its leader. 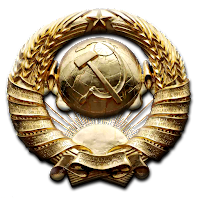 The Bolshevik faction later became the Communist Party of the Soviet Union, which acted as a vanguard party presiding over a single-party dictatorship of the proletariat. After his death, Marxism–Leninism developed into a variety of schools of thought, namely Stalinism, Trotskyism and Maoism. 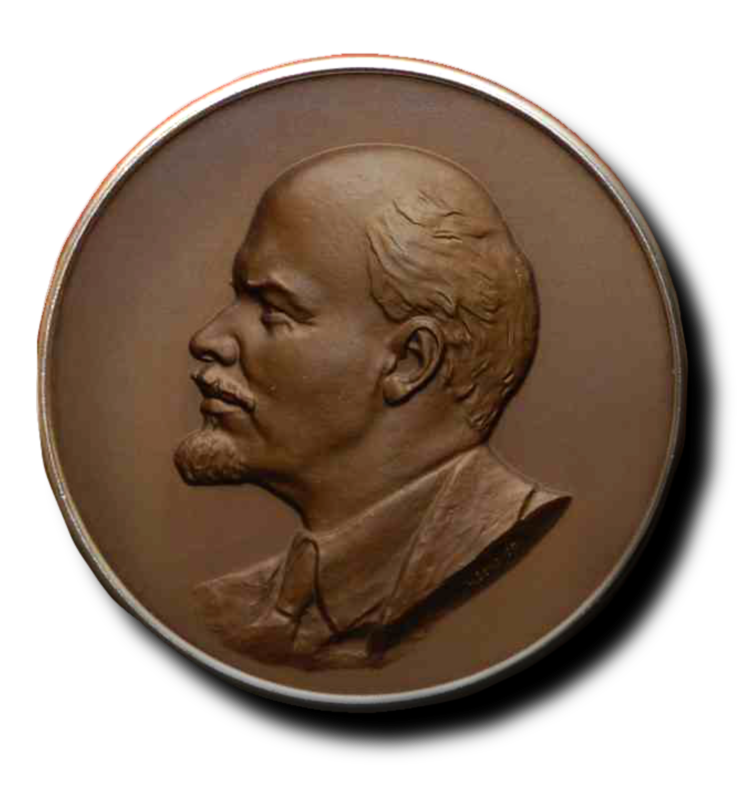 Lenin remains a controversial and highly divisive world figure. Detractors have labelled him a dictator whose administration oversaw multiple human rights abuses, but supporters have countered this criticism citing the limitations on his power and have promoted him as a champion of the working class. He has had a significant influence on the international Communist movement and was one of the most influential figures of the 20th century. Lenin's father, Ilya Nikolayevich Ulyanov (1831–1886), was the fourth child of impoverished tailor Nikolai Vassilievich Ulyanov – born a serf of either Kalmyk or Tatar descent – and a far younger Kalmyk named Anna Alexeevna Smirnova, who lived in Astrakhan. 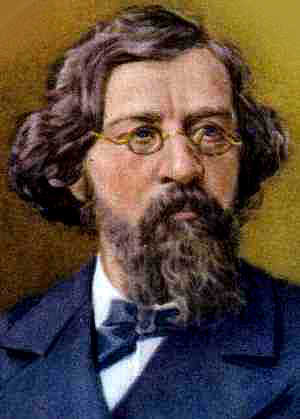 Ilya escaped poverty by studying physics and mathematics at the University of Kazan, before gaining a teaching job at the Penza Institute for the Nobility in 1854. 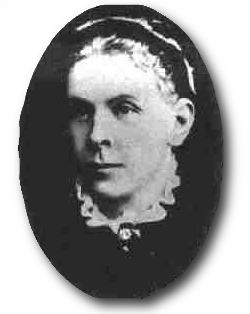 Introduced to Maria Alexandrovna Blank (1835–1916), they married in the summer of 1863. From a relatively prosperous background, Mariya was the daughter of a Russian-Jewish physician, Alexander Dmitrievich Blank, and his German-Swedish wife, Anna Ivanovna Grosschopf. Dr Blank had insisted on providing his children with a good education, ensuring that Mariya learned Russian, German, English and French, and that she was well versed in Russian literature. Soon after their wedding, Ilya obtained a job in Nizhni Novgorod, rising to become Director of Primary Schools in the Simbirsk district six years later. Five years after that, he was promoted to Director of Public Schools for the province, overseeing the foundation of over 450 schools as a part of the government's plans for modernisation. 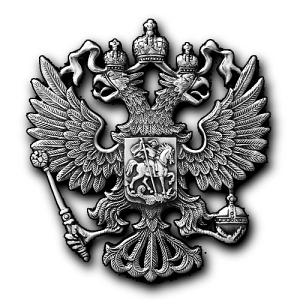 Awarded the Order of St. Vladimir, he became a hereditary nobleman. 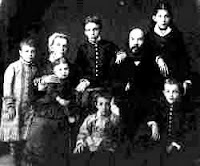 The middle-class couple had two children, Anna (born 1864) and Alexander (born 1868) before the birth of their third child, Vladimir "Volodya" Ilyich, on 10 April 1870, baptised in St Nicholas Cathedral several days later. They would be followed by three more children, Olga (born 1871), Dmitry (born 1874) and Mariya (born 1878). Another brother, Nikolai, had died several days after birth in 1873. Ilya was a devout member of the Russian Orthodox Church and baptised his children into it, although Mariya – a Lutheran – was largely indifferent to Christianity, a view that influenced her children. Both parents were monarchists and liberal conservatives, being committed to the Emancipation reform of 1861 introduced by the reformist Tsar Alexander II; they avoided political radicals and there is no evidence that the Tsarist police ever put them under surveillance for subversive thought. Every summer they left their home in Moscow Street, Simbirsk and holidayed at a rural manor in Kokushkino, shared with Mariya's Veretennikov cousins. Among his siblings, Vladimir was closest to his sister Olya, whom he bossed around, having an extremely competitive nature; he could be destructive, but usually admitted misbehaviour. A keen sportsman, he spent much of his free time outdoors or playing chess, but his father insisted that he devote his life to study, leading him to excel at school, the Simbirsk Classical Gimnazia, a strictly disciplinarian and conservative institution. By his teenage years, Vladimir was coaching his elder sister in Latin and gave private tuition to a Chuvash student. 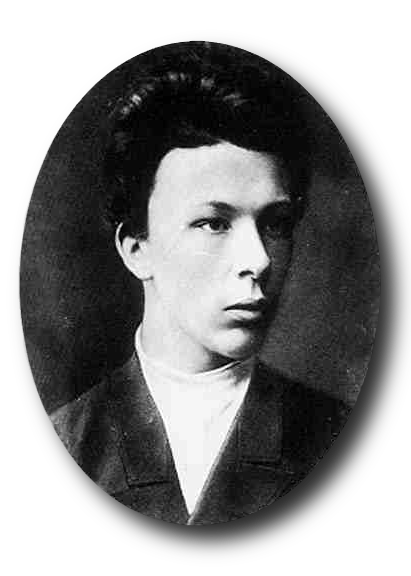 Ilya Ulyanov died of a brain haemorrhage on 12 January 1886, when Vladimir was 16 years old. Vladimir's behaviour became erratic and confrontational, and shortly thereafter he renounced his belief in God. At the time, Vladimir's elder brother Aleksandr "Sacha" Ulyanov was studying biology at St. Petersburg University, in 1885 having been awarded a gold medal for his dissertation, after which he was elected onto the university's Scientific-Literary Society. He had become involved in political agitation against the absolute monarchy of reactionary Tsar Alexander III which governed the Russian Empire, reading the writings of a number of banned leftists, including Dmitry Pisarev, Nikolay Dobrolyubov, Nikolay Chernyshevsky and Karl Marx. Organising protests against the government, he joined a socialist revolutionary cell bent on assassinating the Tsar and with his scientific background was selected to construct a bomb. Before they carried out the attack, the conspirators were arrested and tried. On 25 April 1887, Sacha was sentenced to death by hanging, and executed on 8 May. Despite the emotional trauma brought on by the recent deaths of his father and brother, Vladimir continued with his studies, leaving school with a gold medal for exceptional performance, and decided that he wanted to study law at Kazan University. Entering the Judicial Faculty of Kazan University in August 1887, Vladimir and his mother moved into a flat, renting out their Simbirsk family home. Becoming interested in his late brother's radical ideas, he began meeting with a revolutionary cell run by the Jewish militant agrarian socialist Lazar Bogoraz, associating with leftists intent on reviving the People's Freedom Party (Narodnaya Volya). Joining the university's illegal Samara-Simbirsk zemlyachestvo, he was elected as its representative for the university's zemlyachestvo council. On 4 December he took part in a demonstration demanding the abolition of the 1884 statute and the re-legalisation of student societies, but along with 100 other protesters was arrested by police. Accused of being a ringleader, the university expelled him and the Ministry of Internal Affairs placed him under police surveillance, exiling him to his Kokushkino estate. Here, he read voraciously, becoming enamoured with Chernyshevsky's novel 'What is to be Done ?' (1863). Disliking his radicalism, in September 1888 his mother persuading him to write to the Ministry of the Interior asking them to allow him to study at a foreign university; they refused his request, but allowed his return to Kazan, where he settled on the Pervaya Gora with his mother and brother Dmitry. In Kazan, he contacted M.P. 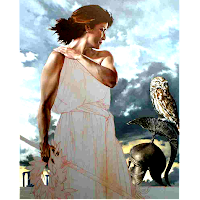 Chetvergova, joining her secret revolutionary circle, through which he discovered Karl Marx's 'Capital' (1867); exerting a strong influence on him, he became increasingly interested in Marxism. Wary of his political views, his mother purchased an estate in the village of Alakaevka, Samara Oblast – made famous in the work of poet Gleb Uspensky, of whom Lenin was a great fan – in the hope that Vladimir would turn his attention to agriculture. Here, he studied peasant life and the poverty they faced, but remained unpopular as locals stole his farm equipment and livestock, causing his mother to sell the farm. In September 1889, the Ulyanovs moved to Samara for the winter. Here, Vladimir contacted a number of exiled dissidents and joined Alexei P. Sklyarenko's discussion circle. Both Vladimir and Sklyarenko adopted Marxism, with Vladimir translating Marx and Friedrich Engels' political pamphlet, 'The Communist Manifesto' (1848), into Russian. He began to read the works of the Russian Marxist Georgi Plekhanov, a founder of the 'Black Repartition' movement, concurring with Plekhanov's argument that Russia was moving from feudalism to capitalism. Becoming increasingly sceptical of the effectiveness of militant attacks and assassinations, he argued against such tactics in a December 1889 debate with M.V. Sabunaev, an advocate of the 'People's Freedom Party'. Despite disagreeing on tactics, he made friends among the Party, in particular with Apollon Shukht, who asked Vladimir to be his daughter's godfather in 1893. In May 1890, Mariya convinced the authorities to allow Vladimir to undertake his exams externally at a university of his choice. He picked the University of Saint Petersburg, obtaining the equivalent of a first-class degree with honours; celebrations were marred when his sister Olga died of typhoid. Vladimir remained in Samara for several years, in January 1892 being employed as a legal assistant for a regional court, and soon gaining a job with local lawyer Andrei N. Khardin. Embroiled primarily in disputes between peasants and artisans, he devoted much of his time to radical politics, remaining active in Skylarenko's group and formulating ideas about Marxism's applicability to Russia. Inspired by Plekhanov's work, Vladimir collected data on Russian society, using it to support a Marxist interpretation of societal development and increasingly rejecting the claims of the People's Freedom Party. In the spring of 1893, Lenin wrote a paper, "New Economic Developments in Peasant Life"; submitting it to the liberal journal 'Russian Thought', it was rejected and only published in 1927. In the autumn of 1893, Lenin wrote another article, "On the So-Called Market Question", a critique of Russian economist G. B. Krasin. In autumn 1893, Vladimir moved to St. Petersburg, taking up residence in a Sergievsky Street flat in the Liteiny district, before moving to 7 Kazachy Alley, near the Haymarket. Employed as assistant to the lawyer M.F. Volkenstein, he joined a revolutionary cell run by S.I. Radchenko, whose members were primarily students from the city's Technological Institute. Like Vladimir, they were Marxists, and called themselves the "Social Democrats" after the 'Marxist Social Democratic Party of Germany'. Impressed by his extensive knowledge, they welcomed him and he soon became a senior member of the group. Championing Marxist thought among the revolutionary socialist movement, in January 1894 he openly debated with theorist V.P. Vorontsov at a clandestine meeting, where his outspoken behaviour was noted by a police spy. Intent on building Marxism in Russia, Vladimir contacted Petr Bernardovich Struve, a wealthy sympathizer whom he hoped could aid in the publication of literature, and encouraged the foundation of further revolutionary cells in Russia's industrial centres. He also became friends with a young Russian Jewish Marxist named Julius Martov, who encouraged his comrades to spend more time engaged in revolutionary activity. Vladimir entered into a relationship with fellow Marxist and schoolteacher Nadezhda "Nadya" Krupskaya, who introduced him to several socialist proletariat. By autumn 1894, Vladimir was the leader of a workers' circle who met for two hours on a Sunday; known to them by a pseudonym, Nikolai Petrovich, they affectionately referred to him as starik (old man). He was meticulous in covering his tracks, knowing that police spies were trying to infiltrate the revolutionary movement. He also wrote his first political tract, What the "Friends of the People" Are and How They Fight the Social-Democrats'; based largely on his experiences in Samara, around 200 copies were illegally printed. Although sharing ideas, Lenin and the Social-Democrats clashed with the Socialist–Revolutionary Party (SR), who were inspired by the example of the defunct People's Freedom Party. Advocating an agrarian-socialist platform, the SR emphasised the revolutionary role of the peasant, who in 1881 numbered 75 million, in contrast to the 1 million urban proletariat in Russia. In contrast, the Marxists believed that the peasant class' primary motivation was to own their own land, and that they were capitalists; instead, they saw the proletariat as the revolutionary force to advance socialism. Lenin nevertheless retained an influence from the thought of militant agrarian-socialist Pëtr Tkachëvi. He hoped that connections could be cemented between his Social-Democrats and the Emancipation of Labour group; an organisation founded in Geneva, Switzerland by Pleckhanov and other Russian Marxist emigres in 1883. Vladimir and E.I. 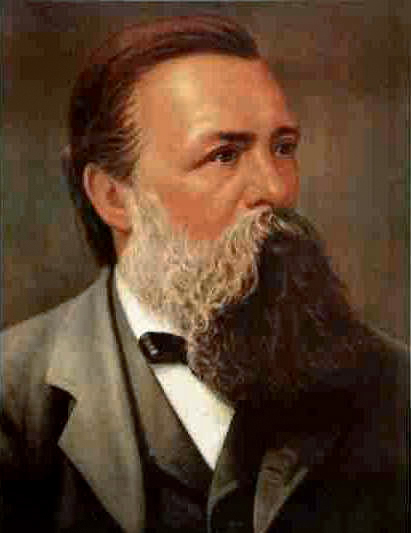 Sponti were selected to travel to Switzerland to meet with Pleckhanov, who was generally supportive but criticised the Social-Democrats for ignoring the role that the bourgeoisie could play in the anti-Tsarist revolution. Traveling on to Zurich, Vladimir met and befriended Pavel Axelrod, another member of Emancipation of Labour. Proceeding to Paris, France, Vladimir met with Paul Lafargue and undertook research into the Paris Commune of 1871, which he saw as an early prototype for a proletarian government. Financed by his mother, he returned to Switzerland to stay in a health spa before traveling to Berlin, Germany, where he studied for six weeks at the Staatsbibliothek and met with Wilhelm Liebknecht. Returning to Russia with a stash of illegal revolutionary literature, he traveled to various cities, becoming aware that he was being monitored by the police. Coinciding with a series of strikes in St. Petersburg, centered on the Thornton textile mill in 1895, he distributed Marxist literature to the workers, and was involved in the production of a news sheet, 'The Workers' Cause', however, both he and 40 other activists were arrested on the night before the first issue's publication and charged with sedition. Imprisoned at the House of Preliminary Detention in Shpalernaya Street, Vladimir was refused legal representation, so denied all of the charges. His family rallied round to help him, but he was refused bail, remaining imprisoned for a year before sentencing. Fellow revolutionaries smuggled messages to him, while he devised a code for playing chess with the neighbouring inmate. Spending much of his time writing, he focused on the role of the working-class in the coming revolution; believing that the rise of industrial capitalism had led large numbers of peasants to move to the cities, where they became proletariat, he argued that class consciousness would develop, leading them to rise up in violent revolution against the aristocracy and bourgeoisie. By July 1896 he had finished 'Draft and Explanation of A Programme for the Social Democratic Party' and had commenced work on his book 'The Development of Capitalism in Russia'. Vladimir was sentenced without trial to 3 years exile in eastern Siberia. Given a few days in St. Petersburg in February 1897 to put his affairs in order, he met with fellow revolutionaries; the Social-Democrats had been renamed the League of Struggle for the Emancipation of the Working Class, and with many of its leading intelligentsia imprisoned, workers had taken over a number of senior positions, a move that caused rifts but which gained Vladimir's cautious support. In 1896–97, strikes hit St. Petersburg, aided by the Marxists; believing his predictions to be coming true, Vladimir was unhappy at having to abandon the movement. The Tsarist government made use of a large network of prison camps and areas of exile on the verges of its empire to deal with dissidents and criminals; by 1897 there were 300,000 Russian citizens in this system, and Vladimir was now one of them. Permitted to make his own way there, the journey took 11 weeks, for much of which he was accompanied by his mother and sisters. Considered a minor threat, Vladimir was exiled to Shushenskoye in the Minusinsky District, a settlement that Vladimir described as "not a bad place". Renting a room in a peasant's hut, he remained under police surveillance, but corresponded with other subversives, many of whom visited him, and also went on trips to hunt duck and snipe and to swim in the Yenisei River. In May 1898, Nadya joined him in exile, having been arrested in August 1896 for organizing a strike. Although initially posted to Ufa, she convinced the authorities to move her to Shushenskoye, claiming that she and Vladimir were engaged; they married in a church on 10 July 1898. Settling into a family life with Nadya's mother Elizaveta Vasilyevna, the couple translated Sidney and Beatrice Webb's 'The History of Trade Unionism' (1894) into Russian, a job obtained for them by Struve. Keen to keep abreast of the developments in German Marxism – where there had been an ideological split, with revisionists like Eduard Bernstein advocating a peaceful, electoral path to socialism – Vladimir remained devoted to violent revolution, attacking revisionist arguments in 'A Protest by Russian Social-Democrats'. Vladimir also finished 'The Development of Capitalism in Russia' (1899), his longest book to date, which offered a well-researched and polemical attack on the Social-Revolutionaries and promoting a Marxist analysis of Russian economic development. 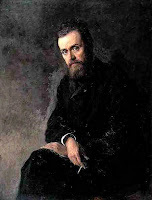 Published under the pseudonym of "Vladimir Ilin", it would be described by biographer Robert Service as "a tour de force", but received predominantly poor reviews upon publication. His exile over, Vladimir was banned from St. Petersburg, instead settling in Pskov, a small town two hours' train ride from the capital, in February 1900. His wife, who had not served the entirety of her sentence, remained in exile in Ufa, where she fell ill. Intent on founding a newspaper, Vladimir and Struve raised money for the publication of Iskra ('The Spark'), a new organ of the Russian Marxist movement, now calling itself the 'Russian Social Democratic Labour Party' (RSDLP). After visiting his wife, on 29 July 1900, Vladimir left Russia for Western Europe. In Switzerland and Germany, he met with Axelrod, Plekhanov and Potresov, and lectured on the Russian situation. On 24 August 1900, a conference of Russian Marxists was held in the Swiss town of Corsier to discuss Iskra, but both Vladimir and Potresov were shocked at Plekhanov's controlling nature and antisemitism. It was agreed that the paper would be produced in Munich, where Vladimir moved in September 1900. The first issue was printed on Christmas Eve, and contained an article written by Vladimir decrying European intervention in the Boxer Rebellion. A second RSDLP publication, Zarya, appeared in March 1901, and would run for four issues, but Iskra was far more successful, being smuggled into Russia illegally, becoming the most successful Russian underground publication for 50 years. 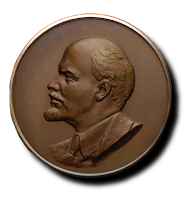 It contained contributions from such figures as the Polish Rosa Luxemburg, the Czech-German Karl Kautsky, and a young Ukrainian Marxist, Leon Trotsky, who became a regular contributor from the autumn of 1902. 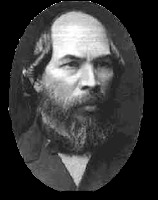 Vladimir adopted the 'nom de guerre' of "Lenin" in December 1901, possibly taking the River Lena as a basis, thereby imitating the manner in which Plekhanov had adopted the pseudonym of "Volgin" after the River Volga. In 1902, he published a political pamphlet entitled 'What Is to Be Done ?' – named after Chernychevsky's novel – under this pseudonym. His most influential publication to date, it dealt with Lenin's thoughts on the need for a vanguard party to lead the working-class to revolution. When his wife finished her sentence, she joined him in Munich; she became his personal secretary, aiding the production of Iskra. Together, they continued their political agitation, with Lenin writing further articles for Iskra and drafting the program for the RSDLP, attacking ideological dissenters and external critics. Despite remaining an orthodox Marxist, he had begun to accept the Social Revolutionary Party's views on the revolutionary power of the Russian peasantry, penning a pamphlet in 1903 entitled 'To the Village Poor'. In 1903, Lenin attended the 2nd Congress of the Russian Social Democratic Labour Party, which initially convened at Brussels before moving to London. Here a longstanding ideological split developed within the party between the Bolshevik faction, led by Lenin, and the Menshevik faction, led by Martov. 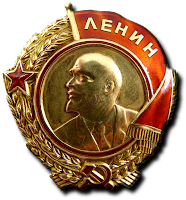 These terms "Bolshevik" (from the Russian bol'shinstvo meaning "majority") and "Menshevik" (from the Russian menshinstvo meaning "minority") derive from the narrow Bolshevik electoral defeat of the Mensheviks to the party's newspaper editorial board, and to central committee leadership. The break partly originated from Lenin's book 'What Is to Be Done ?' (1902), which proposed a smaller party organisation of professional revolutionaries, with Iskra in a primary ideologic role. Another issue that divided the two factions was Lenin's support of a worker-peasant alliance to overthrow the Tsarist regime as opposed to the Menshevik's support of an alliance between the working classes and the liberal bourgeoisie to achieve the same aim (while a small third faction, led by Trotsky, espoused the view that the working class alone was the instrument of revolutionary change—needing no help from either the peasants or the middle classes). In November 1905, Lenin returned to Russia to support the 1905 Russian Revolution. Until the February and October revolutions of 1917, he lived in Western Europe, where, despite relative poverty, he developed Leninism—urban Marxism adapted to agrarian Russia reversing Karl Marx's economics–politics prescription to allow for a dynamic revolution led by a vanguard party of professional revolutionaries. In 1909, to disambiguate philosophic doubts about the proper practical course of a socialist revolution, Lenin published 'Materialism and Empirio-criticism' (1909), which became a philosophical foundation of Marxism-Leninism. Throughout exile, Lenin travelled Europe, participated in socialist activities, (the 1912 Prague Party Conference). When Inessa Armand left Russia for Paris, she met Lenin and other exiled Bolsheviks. Rumour has it she was Lenin's lover; yet historian Neil Harding notes that there is a "slender stock of evidence . . . we still have no evidence that they were sexually intimate". In 1914, when the First World War (1914–18) began, most of the mass Social Democratic parties of Europe supported their homelands' war effort. At first, Lenin disbelieved such political fickleness, especially that the Germans had voted for war credits; the Social Democrats' war-authorising votes broke Lenin's mainstream connection with the Second International (1889–1916). He opposed the Great War, because the peasants and workers would be fighting the bourgeoisie's "imperialist war"—one that ought be transformed to an international civil war, between the classes. Lenin's view of the war can be summed up in a letter he wrote to the Romanian poet Valeriu Marcu in 1917: "One slaveowner, Germany is fighting another slaveowner, England, for a fairer distribution of the slaves". At the beginning of the war, the Austrians briefly detained him in Poronin, his town of residence; on 5 September 1914 Lenin moved to neutral Switzerland, residing first at Bern, then at Zürich. In 1915, in Switzerland, at the anti-war Zimmerwald Conference, he led the Zimmerwald Left minority, who failed, against the majority pacifists, to achieve the conference's adopting Lenin's proposition of transforming the imperialist war into a class war. In the next conference (24–30 April 1916), at Kienthal, Lenin and the Zimmerwald Left presented a like resolution; but the conference concorded only a compromise manifesto. In the spring of 1916, in Zürich, Lenin wrote 'Imperialism, the Highest Stage of Capitalism '(1916). In this work Lenin synthesised previous works on the subject by Karl Kautsky, John A. Hobson ('Imperialism: A Study', 1902), and Rudolf Hilferding ('Das Finanzkapital', 1910), and applied them to the new circumstances of the First World War (1914–18) fought between the German and the British empires—which exemplified the imperial capitalist competition, which was the thesis of his book. This thesis posited that the merging of banks and industrial cartels gave rise to finance capital—the basis of imperialism, the zenith of capitalism. To wit, in pursuing greater profits than the home market can offer, business exports capital, which, in turn, leads to the division of the world, among international, monopolist firms, and to European states colonising large parts of the world, in support of their businesses. Imperialism, thus, is an advanced stage of capitalism based upon the establishment of monopolies, and upon the exportation of capital (rather than goods), managed with a global financial system, of which colonialism is one feature. In accordance with this thesis, Lenin believed that Russia was being used as a tool of French and British capitalist imperialism in World War I and that its participation in the conflict was at the behest of those interests. In February 1917 popular demonstrations in Russia provoked by the hardship of war forced Tsar Nicholas II to abdicate. The monarchy was replaced by an uneasy political relationship between, on the one hand, a 'Provisional Government' of parliamentary figures and, on the other, an array of "Soviets" (most prominently the Petrograd Soviet): revolutionary councils directly elected by workers, soldiers and peasants. Lenin was still in exile in Zurich. "Haven't you heard the news ? There's a revolution in Russia !" "revolutionary propaganda, agitation and struggle with the aim of an international proletarian revolution and for the conquest of power by the Soviets of Workers' Deputies". "Spread out! Rouse new sections ! Awaken fresh initiative, form new organisations in every stratum and prove to them that peace can come only with the armed Soviet of Workers' Deputies in power." Lenin was determined to return to Russia at once. But that was not an easy task in the middle of the First World War. Switzerland was surrounded by the warring countries of France, Germany, Austria-Hungary and Italy, and the seas were dominated by Russia's ally Britain. Lenin considered crossing Germany with a Swedish passport, but Krupskaya joked that he would give himself away by swearing at Mensheviks in Russian in his sleep. Negotiations with the Provisional Government to obtain passage through Germany for the Russian exiles in return for German and Austro-Hungarian prisoners of war dragged on. Eventually, bypassing the Provisional Government, on 31 March the Swiss Communist Fritz Platten obtained permission from the German Foreign Minister through his ambassador in Switzerland, Baron Gisbert von Romberg, for Lenin and other Russian exiles to travel through Germany to Russia in a sealed one-carriage train. At Lenin's request the carriage would be protected from interference by a special grant of extraterritorial status. There are many evidences for German financial commitment to the mission of Lenin. The aim was to disintegrate Russian resistance in the First World War by spreading the revolutionary unrest. Financial support was continued until July 1917, when the Provisional Government, after revealing German funding for the Bolsheviks, outlawed the party and issued an arrest warrant for Lenin. On 9 April Lenin and Krupskaya met their fellow exiles in Bern, a group eventually numbering thirty boarded a train that took them to Zurich. From there they travelled to the specially arranged train that was waiting at Gottmadingen, just short of the official German crossing station at Singen. Accompanied by two German Army officers, who sat at the rear of the single carriage behind a chalked line, the exiles travelled through Frankfurt and Berlin to Sassnitz (arriving 12 April), where a ferry took them to Trelleborg. Krupskaya noted how, looking out of the carriage window as they passed through wartime Germany, the exiles were "struck by the total absence of grown-up men. Only women, teenagers and children could be seen at the wayside stations, on the fields, and in the streets of the towns." Once in Sweden the group travelled by train to Stockholm and thence back to Russia. Just before midnight on 16 April [O.S. 3 April] 1917, Lenin's train arrived at the Finland Station in Petrograd. On the train from Switzerland, Lenin had composed his famous 'April Theses': his programme for the Bolshevik Party. In the Theses, Lenin argued that the Bolsheviks should not rest content, like almost all other Russian socialists, with the "bourgeois" February Revolution. The specific feature of the present situation in Russia is that the country is passing from the first stage of the revolution—which, owing to the insufficient class-consciousness and organisation of the proletariat, placed power in the hands of the bourgeoisie—to its second stage, which must place power in the hands of the proletariat and the poorest sections of the peasants. Lenin argued that this socialist revolution would be achieved by the Soviets taking power from the parliamentary Provisional Government: "No support for the Provisional Government ... Not a parliamentary republic – to return to a parliamentary republic from the Soviets of Workers' Deputies would be a retrograde step – but a republic of Soviets of Workers', Agricultural Labourers' and Peasants' Deputies throughout the country, from top to bottom." The 'April Theses' were more radical than virtually anything Lenin's fellow revolutionaries had heard. Previous Bolshevik policy had been like that of the Mensheviks in this respect: that Russia was ready only for bourgeois, not socialist, revolution. Joseph Stalin and Lev Kamenev, who had returned from exile in Siberia in mid-March and taken control of the Bolshevik newspaper Pravda, had been campaigning for support for the Provisional Government. When Lenin presented his Theses to a joint Russian Social Democratic Labour Party (RSDLP) meeting, he was booed by the Mensheviks. Boris Bogdanov called them "the ravings of a madman". Of the Bolsheviks, only Kollontai at first supported the Theses. Lenin arrived at the revolutionary 'April Theses' thanks to his work in exile on the theory of imperialism. Through his study of worldwide politics and economics, Lenin came to view Russian politics in international perspective. In the conditions of the First World War, Lenin believed that, although Russian capitalism was underdeveloped, a socialist revolution in Russia could spark revolution in the more advanced nations of Europe, which could then help Russia achieve economic and social development. A. J. P. Taylor argued: "Lenin made his revolution for the sake of Europe, not for the sake of Russia, and he expected Russia's preliminary revolution to be eclipsed when the international revolution took place. Lenin did not invent the iron curtain. On the contrary it was invented against him by the anti-revolutionary Powers of Europe. Then it was called the cordon sanitaire." Controversial as it was in April 1917, the programme of the 'April Theses' made the Bolshevik party a political refuge for Russians disillusioned with the Provisional Government and the war.